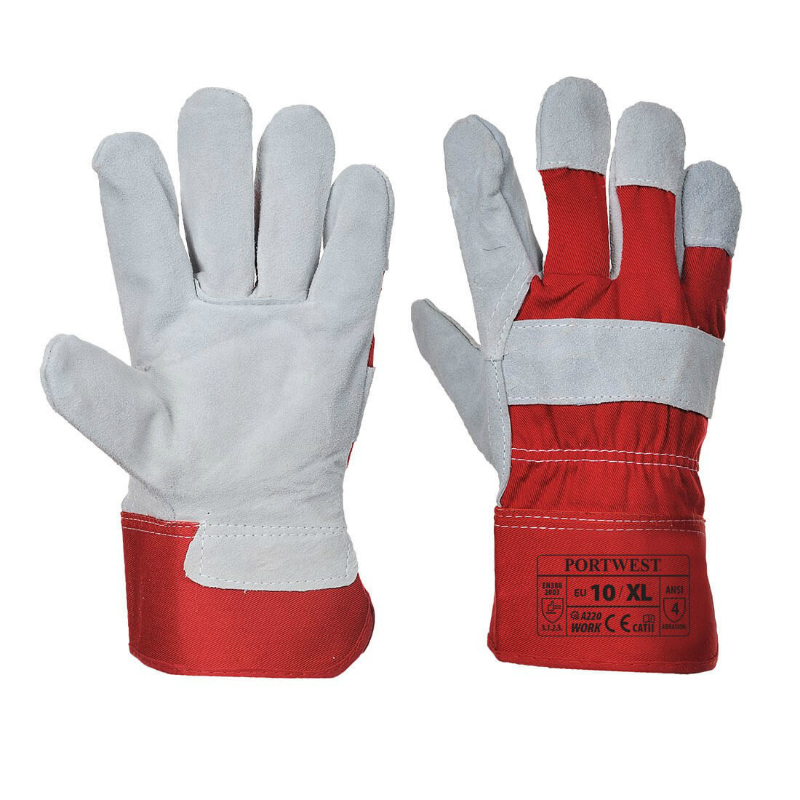 Constructed using high quality, chrome tanned, cow split leather the Portwest Premium Chrome Rigger Red Gloves A220RE offer versatile protection for tough environments and high risk situations. Fitted with a rubberised safety cuff and leather vein patch, the A220RE Rigger Gloves offer increased protection against potential hazards in working environments. The Portwest Premium Chrome Rigger Red Gloves A220RE gloves are available in size 10. To find your perfect pair, please measure the circumference and length of your palm and match the results to the table below.